Do you need advice from a men's health expert? At Nuffield Health Glasgow Hospital our leading men's health consultants can provide you with rapid access to advice, as well as a range of procedures, through a personalised treatment plan. 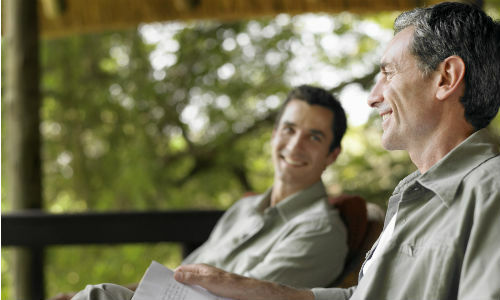 Why choose Nuffield Health Glasgow Hospital for your men's health treatment? We believe good health allows you to get the most out of life. In today’s busy world, managing your professional life, looking after your family and keeping up with friends, means it is sometimes difficult to take a step back and think about your wellbeing. Many conditions that affect men’s health happen gradually and can go unnoticed or simply become tolerated. A problem may start as a minor niggle and before you know it you’ve learned to live with it, putting any concerns aside as you get on with your life. It is our experience that men are often less proactive than women in addressing their medical concerns and put off seeing an expert. At Nuffield Health Glasgow Hospital our dedicated team of mens's health consultants specialise in a wide range of conditions and can help provide the reassurance, advice and personalised treatment you need. 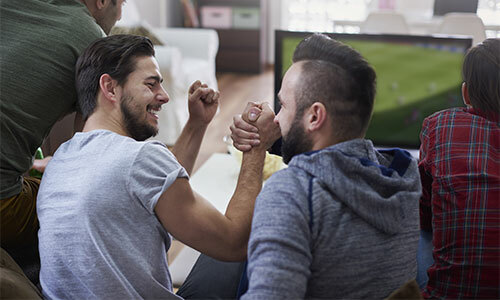 If you have any health concerns, it's in your best interests to seek help from a men's health professional to relieve any stress or pain you may be experiencing. Talk to us and we can help solve your health problems with easy and rapid access to advice and treatment. For more information, or to book a consultation with one of our experts, please call our hospital enquiry team in Glasgow on 01413 349 441. Alternatively, please fill out a contact form below and a member of our enquiry team will get back to you at a more convenient time.